These were included when I got my Jeep. 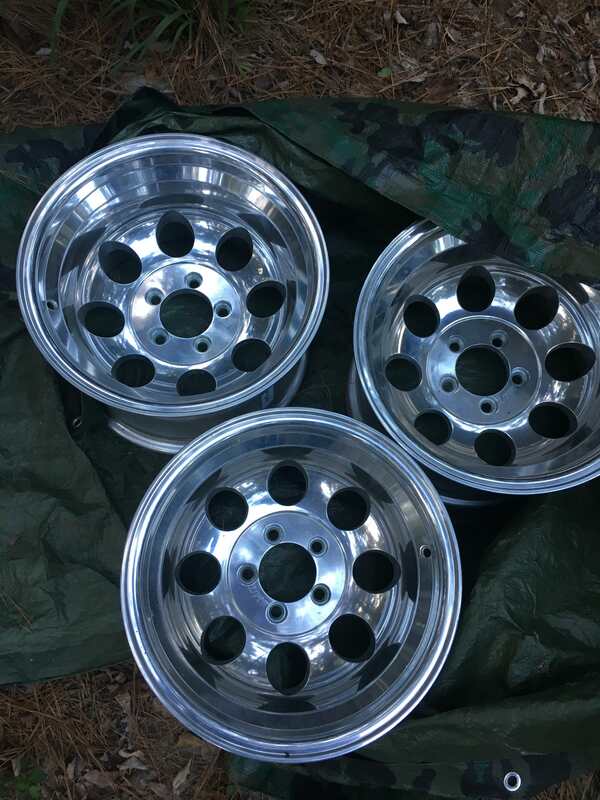 Mickey Thompson 5 lug Jeep pattern, not sure what all they would fit. 15x10 (I’ll put a tape on them to be sure). They are brand new. Sorry 3 is all I have.